The only real accommodation in Milford Sound is the Milford Sound Lodge. If you’re staying here, the kind folks at Rosco’s will pick you up on their way to their “office” with advance notice. Otherwise it’s a 15 minute walk down to the launch area. 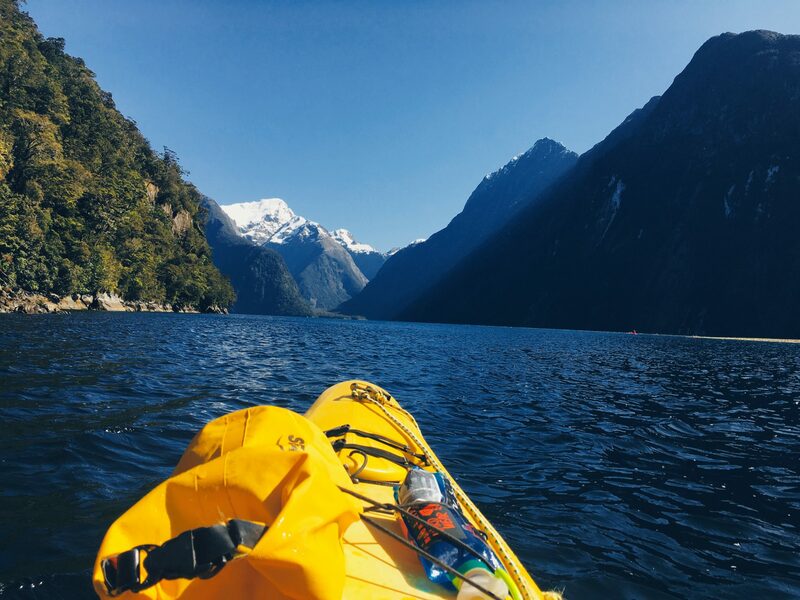 Rosco’s provides you with all the equipment you need for kayaking from base layers to a shell to a skirt. All you need to bring are snacks, water, and a camera, if you dare. The trip generally gets taken into the sound by boat but due to the wind, we paddled out past the sights for a boat pickup. As the only traveler without a paddle partner, I hopped into the kayak with our guide, Ben. 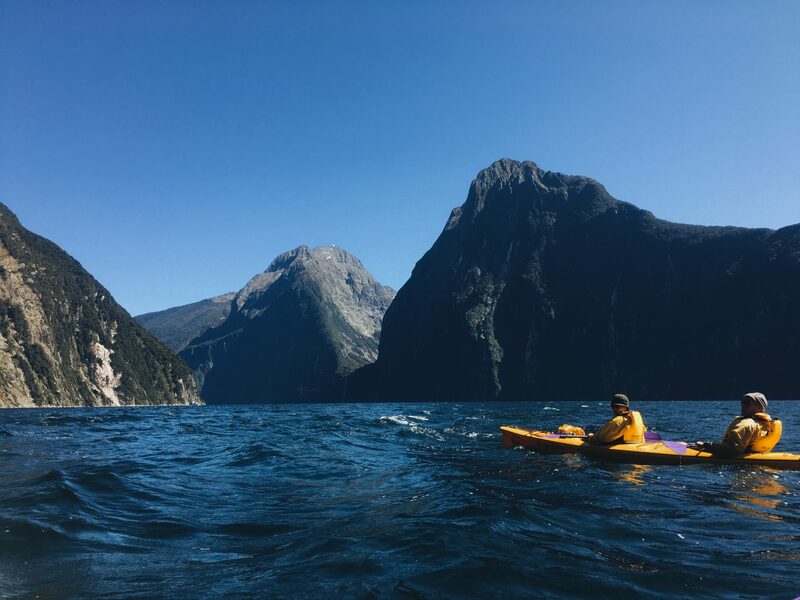 We paddled out past Mitre Peak with Stirling Falls as our destination. The goal was to kayak underneath the waterfall and have a flippin’ fantastic time. As we made our way out, Ben and I chatted about country music and all the climbing in Milford Sound. He pointed out routes and talked to me about mountaineering and peak bagging in the area. It was super relaxed. Finally, we were up close and personal with Stirling Falls. Up close, it looked much more mighty and intimidating; we were going under that thing. It was cold. It was exhilarating. It was a billion tons of glacial water falling on my head. And it was awesome. After all the excitement, we lazily paddled around to wait for the boat pick up. We said hi to New Zealand Fur Seals, ate our snacks and dried off in the sun. 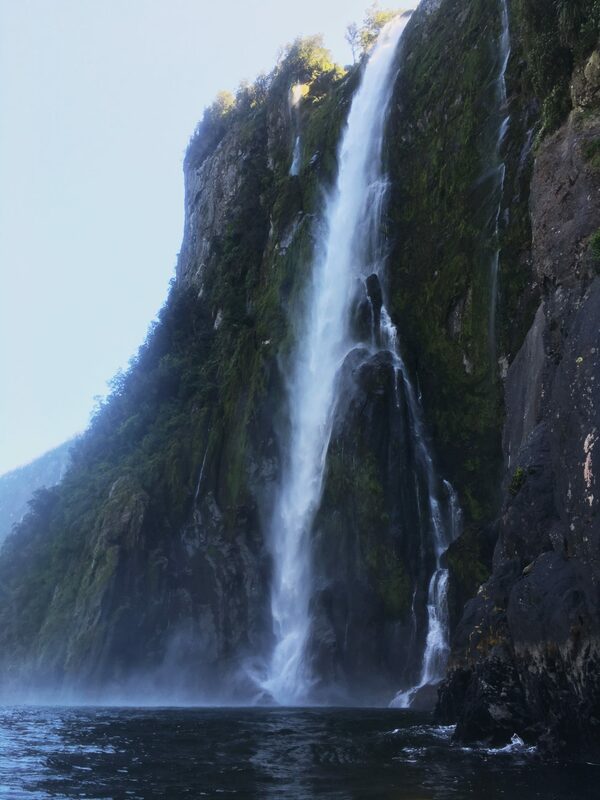 It was a fantastic little trip and a quiet, relaxing and atypical way to experience Milford Sound. Being “on the ground” and paddling around let us get up close and personal with more wildlife. Not having to battle passengers for photo time was great too. 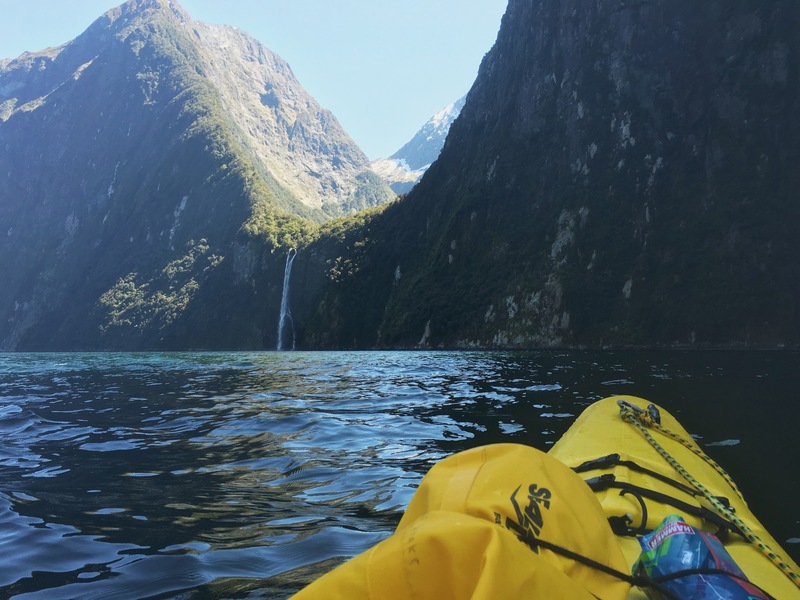 Highly, highly recommend a trip out with Rosco’s and seeing Milford Sound via human power. It adds so much more magic. 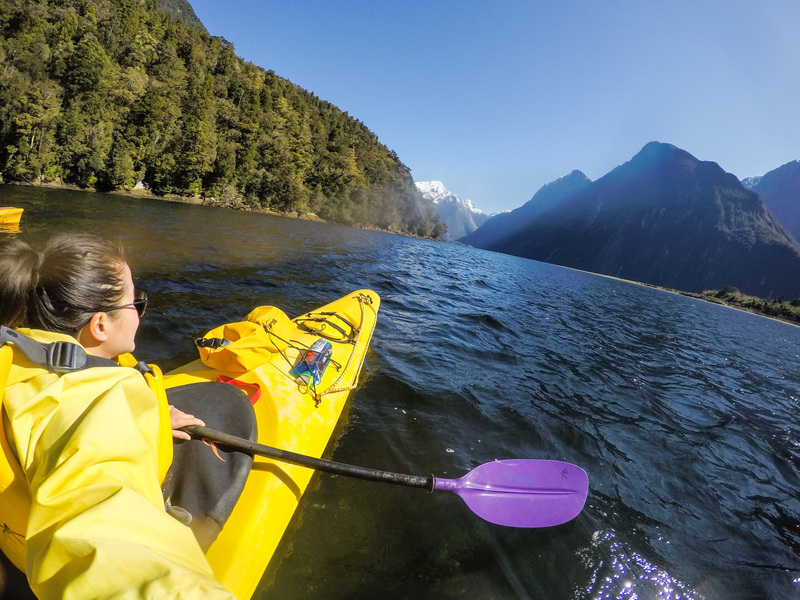 Book the Stirling Sunriser and kayak Milford Sound through Rosco’s for $195.